Max Packers And Movers - Service Provider of office packing services, unpacking services & home packing service since 1988 in Chennai, Tamil Nadu. If you think moving out or into an office is hard – you’re wrong – it’s almost impossible! An office packing service involves packing countless file cabinets, desks, chairs, all sensitive computer equipment, high-tech machinery and other innumerable office belongings. Professional packers and movers ensure everything gets packed up and more importantly – gets there safely! Unpacking Services also known as destination services is as tedious and time consuming as is packing. Once goods are packed and moved to their respective destination, the next crucial job is that of unpacking. Unpacking service should be really prompt and quick as these allow an individual or an entire set up getting back to a normal routine. Packers and movers offer their professional services and assistance to carefully unpack without facing any difficulty and avoid any sort of misplacement of goods.Unpackers pick up where the movers stop – they unpack boxes, wash everything, put everything away and arrange them at the proper place or as directed by the customer.Their services are especially useful when the items are in bulk or there are many fragile items that need special care. They remove the packing materials thereby relieving a person of an extra task. The damaged items are kept separately which can be later used as a proof for insurance claims.Trained professionals offered by movers and packers can provide useful tips regarding the setting up of the items. Whether the unpacking service availed is full or partial, depends on the needs and budget of the client. Depending on the customer’s specifications, either all the boxes or just a few of them are unpacked, to suit the needs. This allows them the time to clean and organize before putting them away. 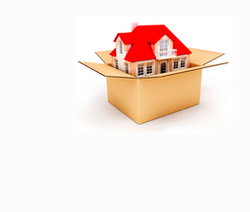 Whether the unpacking service availed is full or partial, depends on the needs and budget of the client. Unpackers compare final inventory with the initial inventory to ensure that nothing is misplaced at destination. At times for liability reasons relocators keep a clause that if the packing is done through them, they should also be hired for unpacking which should be checked before signing any contract. Unpacking boxes and removing items from them. Hanging of shelves and cabinets. Unpack cartons and place goods into cupboards. Cleaning and wiping of Cupboards, shelves and bench tops. Placing food items into the pantry and refrigerator. Unpacking Clothes and hanging in wardrobes. Linen and towels are sorted and color coordinated. Books are neatly arranged onto bookshelves. Home Packing Services are meant to pack your household belongings including bedroom items-clothes, linen, mattress, lampshades etc, Kitchen appliances – under the sink, silverware and utensil, pots and pans, Tupperware, bake ware etc, glassware – Interior decorative items, paintings, dried flowers, ceramic tree, lampshades, hurricane globe, glass coffee table, fire screen etc, Electronic items-computers, micro oven, music system etc. All these are really expensive and several have zero tolerance to jerks. From the first roll of tape unraveled to the last box labeled, team of professional packers wrap your entire home right before your eyes to prevent any breakage and loss and pack everything at your convenience. come up ‘A Class’ service as a solution to all your shifting problems. We use International quality packing material to protect against damage and keep out moisture and dust. Various ingenious solutions have been devised for all the problems that may be encountered. This includes Hanging Boxes for clothes, Perfect Boxes for your fragile items etc. religious significance are labeled and placed on top so that no one inadvertently steps on them. reach the destination in perfect shape. Safe storage options are also provided in our world class warehouses as per your needs. and tensions putting you at complete ease. To pack and move belongings to destinations across the globe, demands a special kind of expertise and skill-sets. Fortunately, we have both…in plenty! On every count and aspect, rest assured that ‘A Class’ services are with you, all the way. Whether it is port delivery or consignment clearance at both entry and exit points we ensure and end-to-end services. Also, you can be certain of proven internationally quality packing techniques for hassle-free moving. A CHA license holder, Max Packers & Mover’s strategic tie-up with international service providers allows us to access their offices in 35 countries around the world and to offer you localized support in each one of them. We pioneer in the corporate-office shifting with our unmatched know-how and proficiency offering you complete reassurance and confidence. 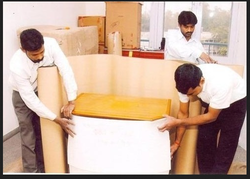 Our men understand that perfection is the backbone of operations.We do office shifting in '0' hours .Under the supervision & guidance of professional & skilled manpower and usage of high quality packing material & specially designed prefect boxes we provide 100% safety to your office items like computers & peripherals furniture, files, cabinets, pantry items etc. When you entrust the job to us, you can rest assured that your precious belongings are in the safest hands. We start with a pre-move survey to check for the volume of the goods as well as to understand other complexities involved. Everything is planned in advance to make sure that on the actual day everything goes off with clock worth precision. With the innovations like Portable Homes, Perfect Boxes etc. the standards of performance has been raising. Even the smallest details have received our greatest care. It includes specially crafted containers for clothes, religious items being packed separately, extra precautions for electronics are taken etc. Insurance/ risk coverage services are also provided on demand. We master in check post documentations. Max 'A' class lends you the confidence and assurance of 100% safety of your household items while shifting. By: Accutime India Pvt .ltd.